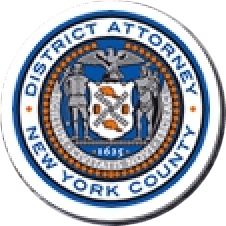 Manhattan District Attorney Cyrus R. Vance, Jr., today announced the guilty plea of KANG GAO, 29, a former analyst at the hedge fund Two Sigma Investments LLC (“Two Sigma”) for illegally accessing and duplicating proprietary and highly confidential information related to the firm’s trading methods. The defendant pleaded guilty in New York State Supreme Court to Unlawful Duplication of Computer Related Material. He is expected to be sentenced on April 28, 2015. As admitted in the defendant’s guilty plea and according to court documents and statements made on the record in court, Two Sigma is an international hedge fund based in Manhattan that uses quantitative analysis to identify market trading opportunities. GAO worked for Two Sigma from August 2010 to February 2014 as a financial research analyst. All of the firm’s employees are forbidden from taking, disclosing, or disseminating its proprietary computer, scientific, and financial market modeling information. Between August 4, 2013 and January 28, 2014, the defendant used a remote access device to view Two Sigma’s confidential trading models, and emailed to his personal email account documents describing these models. The documents that GAO emailed to himself included quantitative trading strategies, trading models, a marketing presentation, and a scientific white paper. The defendant did not have the firm’s authorization to view and disseminate this information. According to statements made on the record in court, after GAO duplicated some of the propriety information, he flew to China in December 2013. While in Beijing, he met with a wealthy prospective investor for a company he had hoped to start. In an unrelated case, Jason Vuu was sentenced yesterday to five years of probation and $49,850 in restitution for copying and taking proprietary trading strategy files and computer source code from his former employer, Manhattan financial trading company, Flow Traders, LLC. Vuu pleaded guilty in October to two counts each of Unlawful Duplication of Computer Related Material and Unauthorized Use of Secret Scientific Material, both class E felonies. His co-defendant, Glen Cressman, pleaded guilty in December to Attempted Unauthorized Use of Secret Scientific Material, a misdemeanor, and is awaiting sentencing. In September 2013, the Manhattan District Attorney’s Office’s Cybercrime and Identity Theft Bureau held its first-ever Intellectual Property Rights conference at the John Jay College of Criminal Justice. The conference included two panels of experts moderated by senior prosecutors from the Manhattan DA’s Office and focused on enforcement in the digital age. Assistant District Attorneys David Neeman and Michael Murray handled the prosecution of the GAO case and Assistant District Attorney Daniel Holmes prosecuted the Vuu and Cressman case, all under the supervision of Assistant District Attorney Brenda Fischer, Chief of the Cybercrime and Identity Theft Bureau, and Executive Assistant District Attorney David M. Szuchman, Chief of the Investigation Division. Senior Cybercrime Analyst Christina Chen, Investigators Jaime Mercier-Blanchard and Yohanna Pena, Senior Investigator Matthew Winters, members of the District Attorney’s High Technology Analysis Unit and Assistant Chief Rackets Investigator Michael Wigdor provided assistance with the GAO investigation. DA Vance also thanked Two Sigma and Assistant District Attorney Martha Coravos in the Middlesex County District Attorney’s Office for their assistance with the GAO case. DA Vance thanked the U.S. Secret Service for its assistance with Vuu and Cressman’s case.